Reinier Baas (1985) is a jazz guitarist, based in Amsterdam. Recently graduated from the Conservatory of Amsterdam with the highest honors and a finalist for the prestigious Deloitte Jazz Award (2010), he is fast gaining a reputation as one of Holland’s most promising young players. He is the brand new guitarist of Stefan Lievestro’s renowned, testosterone fueled powerhouse Mona Lisa Overdrive, guest soloist with the Dutch Youth Jazz Orchestra (NJJO) 2011 and bandleader of the illustrious More Socially Relevant Jazz Music Ensemble. Reinier heads his own trio, unsurprisingly, yet adequately dubbed the Reinier Baas Trio, featuring Sean Fasciani on bass and Mark Schilders on drums. Aside from performing original compositions, this trio seeks a refreshing, contemporary approach to the ‘standard’ jazz repertoire. With the same rhythm section at its core, The More Socially Relevant Jazz Music Ensemble is a young ‘all-star’ quintet, featuring hideously talented alto saxophonists Ben van Gelder and Maarten Hogenhuis. With influences as diverse as Ravel, Tristano, Arctic Monkeys, Jimi Hendrix, Ornette Coleman and Flying Lotus, their music ranges from the intricate and sophisticated to the downright danceable. All About Jazz musician pages are maintained by musicians, publicists and trusted members like you. Interested? 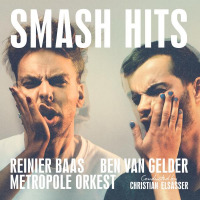 Tell us why you would like to improve the Reinier Baas musician page.